I am now in the process of doing a little make over for our bedroom. As we were included in thousands of homes affected by a great flood last September, there's no doubt that some of our home furniture had deteriorated in shape if not totally wrecked. But I am still thankful that the effect of the flood in our home sweet home is not as worse as what the others had experienced. In fact, we were never affected by any flooding ever since our house was built, thus, it must really be a worse flood that happened in the city. This is in fact our first time to be affected by the flood. A number of our furniture, most of which were bought ready made from the furniture shop were deformed and wood finishing were chipped off. They do not appear as pretty as before. One lesson learned about furniture is that, I must go for custom made furniture. I've noticed that the built in furniture which I asked a wood carpenter to make for me for the bedrooms are the ones that are durable. They remained to be in perfect shape even after the flood. I'm glad I did not bought all the furniture from the store. Now, because of this experience, I am now replacing all the worn out store bought furniture with custom made. 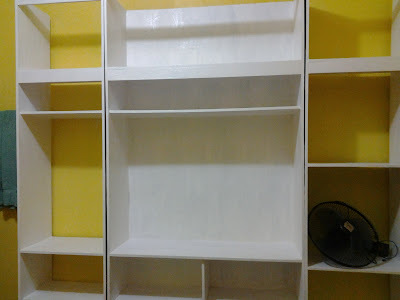 For this, I need to seek the help of our reliable wood carpenter who had been making furniture for us for few years now. 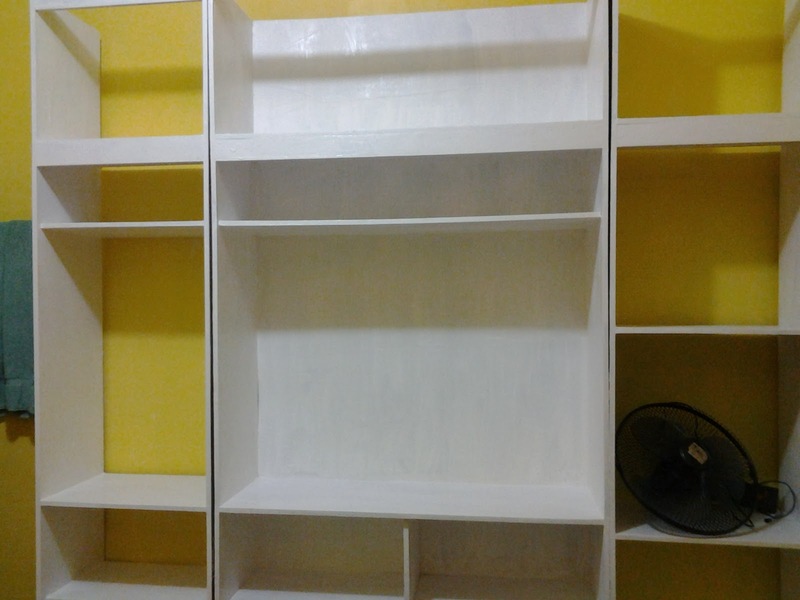 He's almost done with the custom made cabinet for our bedroom, just need to work on the doors. I'm happy that it was huge and can accommodate my growing number of personal stuff. Here is the initial stage. I will be posting the final outcome once it gets completed.